Home » friends sitcom , guinness world record , stunt , weird news , what the hell were they thinking » "At around 72 hours I wanted to die." "At around 72 hours I wanted to die." 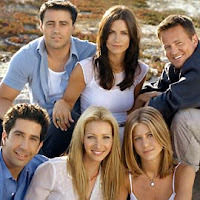 A man in Great Britain spent 84 nonstop hours watching EVERY episode of the television sitcom Friends. Steve Misiura, 31, did it in an attempt to win a spot in the Guinness Book of World Records. The current record is 72 hours. He said he experienced nausea, stomach cramps and hallucinations while watching the adventures of Ross, Rachel and friends. "I love 'Friends,' but this did indeed hurt. At around 72 hours I wanted to die," Misiura said. "I was also getting quite delirious and not knowing what I was doing, but it helped that every hour I was updating my photo log," he said.